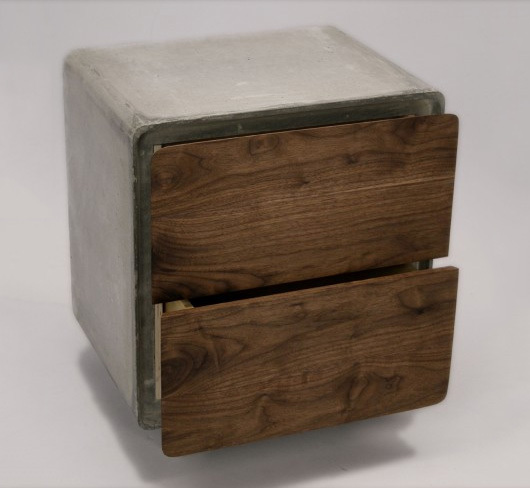 Concrete Cabinet | Shelby White - The blog of artist, visual designer and entrepreneur Shelby White. 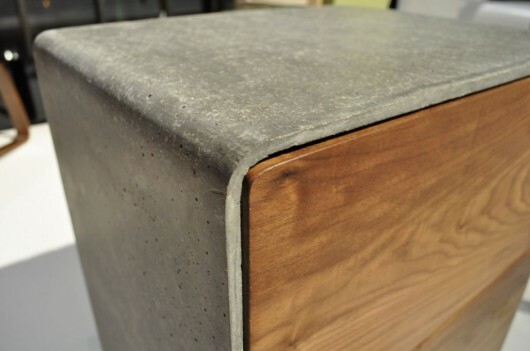 The rounded corners of this concrete cabinet are beautiful. 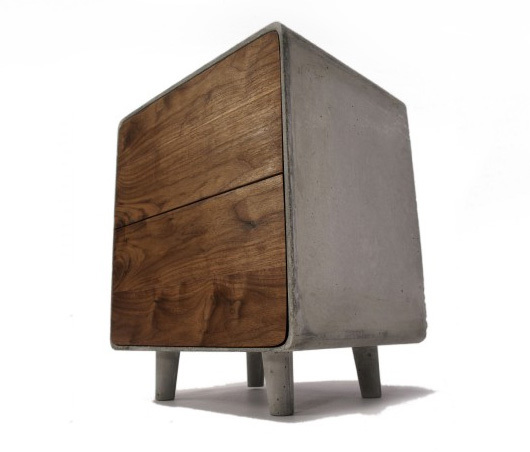 Like I’ve said in the past, when concrete and wood come together it’s magic. The only two things I have questions about with this design would be: how do you open the drawers and how heavy does it weigh? Update: The cabinet has slide out drawers and not magnetic. It really is beautifull. It just be guite heavy. I would like to see this with wooden “legs”. How to open the drawers is the guestion i? asking too. Maybe from the below of the drawers? Maybe they aren’t drawers, maybe they’re cupboards that flip open when you push them. That would be cool. Magnetic pressure catches and quite heavy. Good thinking! Magnetic latches would be a great addition if that is the case. Gorgeous, if impractical. The silhouette reminds me of a vintage TV. I love the industrial chic vibe of this item. Very striking.